Should You Breed From a Rescue Pet? Home > General Pets > Should You Breed From a Rescue Pet? Animal rescue centres and welfare organisations have many unwanted animals looking for a home. Many centres and shelters neuter animals before they are rehomed. This helps to reduce the numbers of unwanted pets that they receive for rehoming every year. There are times, however, when a rescue animal has not been neutered. This might be because the animal is too young or has a health problem, or because some rescue organisations have less strict policies and the onus may be on the family to neuter the pet after it has been adopted. In some cases, the rescue centre may give a family a voucher to use to get the pet neutered within a certain period of time. Adding to the numbers of animals looking for homes – reducing the number of pets that are born each year will reduce the number of unwanted pets in animal rescue centres or shelters. This will vastly reduce the financial burden on animal welfare organisations. Unknown health problems – a pet that has been adopted from an animal rescue centre may well have health problems that are not yet apparent. This may result in a litter being born with health issues that make them impossible to rehome or may involve costly health care treatment. Uncertain parentage – a rescue pet is unlikely to have come from carefully bred parents and as such there are many uncertainties. This can also make rehoming puppies or kittens difficult. Known health issues – if a pet has not been neutered because of a health issue then it is imperative that it is not allowed to breed. 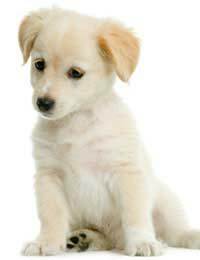 This typically involves keeping a female dog away from other dogs when she is in season. This is not an easy task as a male dog that has not been neutered will try everything that he can to get to a female dog in season. If a pet is not already neutered when it is adopted, then this is one of the first things that must be done. The rescue centre can offer help and advice about neutering and explain the different options available. As well as ensuring that a pet cannot reproduce, neutering also often produces a better tempered pet who is likely to stray. There are no good reasons for breeding from a rescue pet. If someone is looking for another pet to join their home then rescue centres are full of loving pets who will make wonderful companions and this is a much better solution than breeding from a rescue pet.